We were founded in Culver City in 1995 after breaking off from the Woodland Hills-based Maltose Falcons, the oldest homebrew club in the United States. Later on in 2009, we made a few cuts to our rhizome and the Yeastside Brewers were successfully transplanted off on their own. In 2017 we were officially recognized by the IRS as a 501(c)(3) organization focused on education, due to our commitment to incorporating a learning aspect into each of our numerous events. Our hands on sensory evaluation tests, off-flavor identification lessons, and style calibration tastings are among the most popular. Our membership is comprised of varied and unique individuals, many of whom are homebrewers of the highest caliber. Our club has won a multitude of ribbons from County Fairs, brewing invitationals and AHA-sanctioned Homebrew Competitions, while several of our own have gone on to careers in professional brewing. All of these are reasons why Pacific Gravity is one of the premier Los Angeles homebrewing clubs. Beyond the educational aspects of our meetings and social events, we're heavily invested in giving back to our local community. Through our partnership with the Ocean Park Community Center ( The People Connection ) in Santa Monica, we support local people in need via donation collection and fundraisers at our events. We are ALWAYS accepting donations whether it be cash, clothing, or new personal hygiene items. 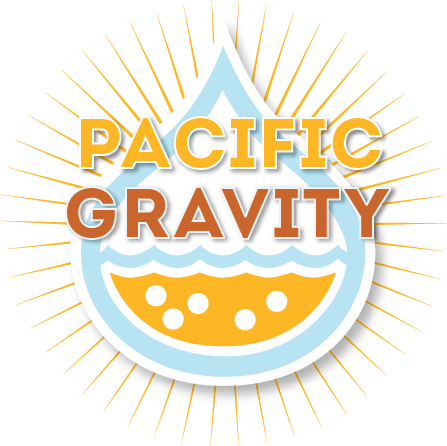 If you would like to arrange a donation please contact us via email at board at pacificgravity.com or in person at one of our events! Meetings are on the Third Thursday of each month on the westside of Los Angeles (location provided each month on our site), where we share the beers we’ve brewed for the monthly style. They are a great time to receive feedback from other brewers and to share tips and techniques with other beer lovers. Occasionally, we meet at the Culver City Home Brew Supply Store which is our home base brew store for our club. Please make sure you drop by and support your local brew shop! You'll most likely see a member there if you do! Anchor Brewing, one of the oldest and prestigious breweries in the U.S. has recognized us as the California Homebrewing Club of the Year in 2003, 2005, 2006, 2011 and 2016. For information on becoming a member, please see our JOIN THE CLUB page.